Over 90% of the churches in the world have less than 200 people in them. 80% of them have fewer than 100. What if that's not a bad thing? What if smallness is an advantage God wants to use, not a problem we need to fix? It’s not about wanting churches to be small, it’s about wanting small churches to be great! That's what the Pivot blog is about. Innovative Leadership From a Small Church Perspective. When we make this pivot, we find ourselves looking at some new things in new ways. And that leads to some new questions. Here are my responses to a few of them. Are Small Churches Better Than Big Churches? Megachurches are great! Not only do I have nothing against them, I think the world needs more of them. But while more people are going to big - and megachurches than ever before, they don't appeal to everyone. As it turns out, small churches have a greater impact than most people are aware of. More followers of Jesus have attended small churches in the last 2,000 years than any other type of church. They still do today. That doesn't mean they're the best way to do church (the "best" way is whatever works for the people who need it), but as the most popular type of church in existence, they need to receive more attention, support and encouragement than they typically have. 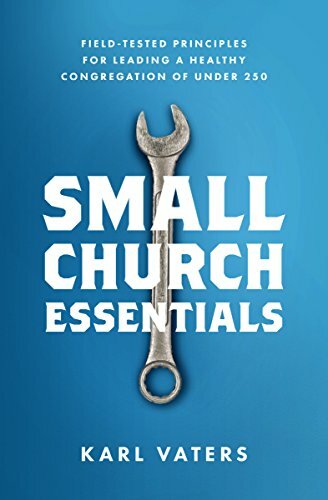 Small churches make up 80% - 90% of the known churches in the world, but are the subject of probably less than 1% of the books and blogs about how to do church ministry. Simply put, small churches and their leaders have been largely neglected, especially when it comes to pastoral training. Pivot wants to help change our thinking about that. To encourage the body of Christ that small churches can be healthy, innovative and world-changing - just like they've been for the last 2,000 years. We don't want more churches to be small, we want small churches to be great! We want to see better, stronger, healthier small churches, led by passionate, prayerful, capable, innovative and loving pastors. We believe being small is not a problem to fix, but a strategy God wants to use. Most small church leaders have not been told that - at least they haven't been told it enough. If we can help turn up the volume on that message, we will have done what we set out to do. What Do You Mean by "Small Church"? But numbers aren't always the best way to make these distinctions. At various size levels, churches actually take on a new personality. This shift means that churches of 150 - 250 in weekend attendance, while still considered small, have a personality and management type that is very different from those at 25 - 150. These shifts in church personality may actually be a more accurate way of defining each size. House Church - Run as a single family unit. Everyone participates in everything. Small Church - Strong pastoral control. Ministries are mostly offered by age categories. Midsize Church - Some staff is hired and ministries are available based on interests and needs. Big Church - More program-oriented. Pastoral ministry is done by staff pastors and in small groups. A very high quality is expected in all programs and ministries. Megachurch - Operates much like a group of small churches meeting niche needs. My goal is to tackle the middle ground between the house church and the megachurch where the vast majority of churches are, but where there has been very little support, encouragement or teaching. Hi, I'm Karl and I'm a small church pastor. I've been a small church pastor for over 30 years. The most recent 25 years in my current church, Cornerstone Christian Fellowship in Fountain Valley, California, where I now serve as the teaching pastor. I've read all the pastoral ministry books and attended all the seminars, just like you. And I've found great help from many of them. But, after a while, I started getting frustrated with the books and seminars because all the "can't miss" principles for growing my church … did miss. That led to writing down my experiences and life-lessons. I kept asking myself and a few close friends, "Why doesn't someone write about this stuff?" Then I realized, after a friendly nudge or two, that this "someone" might be me. So I gathered all those random thoughts, ideas, frustrations and experiences together. I un-randomized them (de-randomized? ex-randomized?) and wrote the book for you that I wanted someone to write for me. That book is The Grasshopper Myth. And since then, Small Church Essentials. Then I started a blo. I write three blog posts in a typical week. Usually on Monday, Wednesday and Friday. Let's Pivot to a new conversation.